The traditional wisdom is “don’t judge a book by its cover”, but we know that everybody does from lists and articles like this one. If you're tasked to design a book cover, the first thing you need to do is ensure that you know what the book is about and that your cover design reflects that. If you haven’t got time to read the book, even a couple of chapters might be enough—or you could go with something heavy on text and colors, based on the mood of the book. Despite the proverb, people do judge books based on their covers, and if the cover doesn’t match the genre and audience, people are much less likely to pick a book up. Another thing to consider is whether you’re doing the cover for a stand-alone book, or one in a series. If you’re going to be doing covers for several related books, you want to create a similar aesthetic for all of them. 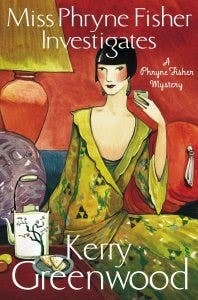 Consider the covers of Kerry Greenwood’s Phryne Fisher books: they all clearly depict the main character, and they all use a very similar art style. The fonts and the art style match as well, which clearly show that the books are parts of a series. All the covers show the female main character, give a hint of the time period the books are set in, and hint at what the books might contain as well! 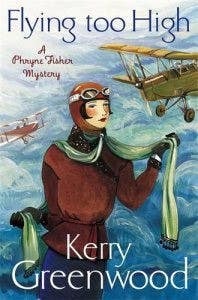 In addition, the most important information is readily available: each book shows it’s part of a series through the subtitle “A Phryne Fisher Mystery”, besides the title and author. 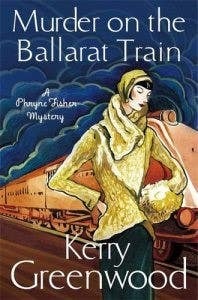 If the first book was just called “Phryne Fisher”, there could be some confusion between the title of the book and the author’s name. Typically, the author’s name is in a smaller font in such cases – unless the author is very popular and people are buying the books just because they’ve written them. Of course, it isn’t easy or cheap to get bespoke illustrations for book covers, so you’re probably going to need to rely on stock images. Be careful to get these from proper stock image libraries: while you’ll probably have to pay a subscription fee, many offer trials or selections of free images, and these will be good quality images without watermarks or copyright. If you just pick something from Google, chances are the quality might not be as good, the image belongs to someone, or the same image has been used by other people too. When you’re designing a book cover, make sure you pay attention to recent trends in book covers. Just glance at the bestseller list or the shelves in a bookshop, and avoid big trends—readers definitely notice them! At the same time, it’s a great way to get some inspiration and figure out how to make the book stand out. Finally: don’t be afraid to keep it simple. If the cover is too cluttered, there’s too much for a reader to take in. You can put more information on the back cover, but all the front cover really needs is a striking design, the title, and the name of the author. Do you have a book cover in mind? Find a freelancer to help you with it today.